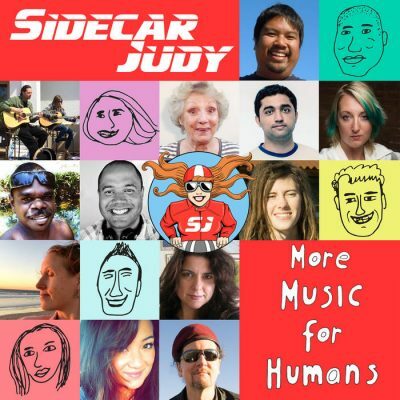 Sidecar Judy are a local, self-proclaimed indie-electronic-folk-rock band. The duo consists of lead vocalist Cammi Folwell (acoustic guitar, harmonica, percussion) and Randin Graves (backing vocals, guitar, bass, percussion). The band considers their music “for human beings,” made clear by their lyrical and instrumental versatility. 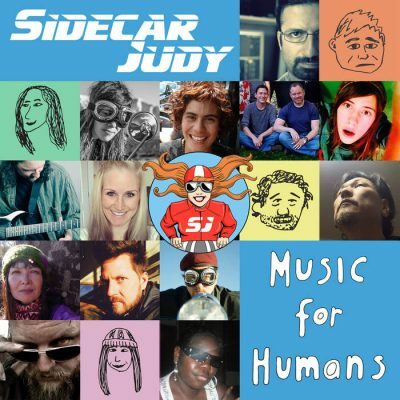 Sidecar Judy released More Music For Humans in July, following their debut, Music For Humans, which released December 2015. Music For Humans is a unique musical project that capitalizes on the approach of indie folk music with catchy electronic elements, which complement rather than dominate songs. Tracks like “Corporate Robot” and “Baked Goods” use the acoustic guitar in the foreground with an accompanying electric guitar, which covers the best of both electronic and folk music. Songs like “Easier” are vocally centered, with more layered vocal and electronic effects. The electronic drones and high-pitched keyboard notes are infrequent on the first half of the album but slink back into tracks on the latter half. More Music For Humans feels more somber, with the exception of “We’re Gonna Be on Top,” which is an upbeat folk song with sanguine lyrics: “I feel so good / I feel so happy / I feel it is alright / Don’t you think that we are making it / Don’t you think that we’re gonna be on top.” Otherwise, the album contains lower, drawn-out and heavier electric guitar and less happy keyboard.